These General Terms and Conditions of Sale (CGV) automatically apply to sales of all JULBO products (hereinafter “Products”) made by JULBO (hereinafter: “JULBO”) on the website www.julbo.com (hereinafter “the Website”), to all non-trade purchasers (hereinafter: “the Customer”) who agree such terms and acknowledge full understanding of same and, as a result, waive the right to apply any conflicting document. No document other than these General Terms and Conditions of Sale may create binding obligations for the parties or may waive such obligations unless in writing and signed by the parties. The General Terms and Conditions of Sale can be accessed on the Website at any time and, where applicable, shall take precedence over any other previous version or over any other conflicting document. Customers are entitled to ask JULBO to send out the General Terms and Conditions of Sale by email. Customers may also save, edit or copy such terms, given that they alone shall be responsible for saving, editing or copying this document since these General Terms and Conditions of Sale may be subject to amendment. Amendments to these General Terms and Conditions of Sale apply to Customers as soon as they are put online and apply to any transactions entered into after they are put online. Customers acknowledge having received, prior to placing their orders and entering into the contract, a legible and understandable version of these general terms and conditions of sale and all the following information: the basic features of the Products; the price of the Product and transport costs; delivery times; information about JULBO’s identity, its postal address, telephone number and email address and its business activities; information about the right to withdraw, legal guarantees, functionalities of digital content and its interoperability; the option to call upon the services of a consumer ombudsman. Customers may familiarise themselves with the various Products offered for sale by JULBO on its Website. Customers may browse the different pages of the Website freely, without any obligation to place an order. If Customers wish to place an order, they select the different Products that they are interested in purchasing and demonstrate said interest by clicking on “Add to Cart”. - stop selecting Products and order such Products by clicking on “Order”. To order the Products that they have chosen, after having clicked on “Order”, Customers must identify themselves, either by entering their email address and confidential password, if they have created an account or, if not, by entering their details straight onto the corresponding form. In the last instance, Customers must fill in the form provided accurately including, in particular, the information need to identify said customer such as surname, first name, postal address, email and telephone number. In addition, Customers have to provide their email address and a personal and confidential password of their choice that they will then need to use to identify themselves on the Website. Customers are informed of, and agree to, the fact that entering these two identifiers proves their identity. Once the Customer has been identified, the delivery address is confirmed. An order form will appear on the screen, detailing in particular: the nature, quantity and price of the Products selected by the Customer, as well as the total amount of the order, the Customer's details, the deadline for delivery of the Products and the delivery address. Customers can correct any errors prior to confirming their order. In this event, a new purchase order will automatically be compiled. Once Customers have read the purchase order and completed all the required information, they tick the box agreeing to these general terms and conditions of sale and click on “Pay”. This second click constitutes an electronic signature. This is a valid signature and is binding for the Customer in the same way as a handwritten signature. The purchase order will be recorded on JULBO’s computer records which are, in turn, stored on a secure and permanent medium and shall be deemed proof of the commitment made by the Customer. Customers can select their desired method of payment from those offered by JULBO and go on to pay for the Products under the terms of Article 6. Once Customers have validated their method of payment on the Website (where applicable, by providing their card number and expiry date), a summary of the Customer's order is displayed showing the transaction number. The sale will not be considered final until the order summary is displayed by JULBO, signifying acceptance of the order. The Customer will then be sent an email summarising the order placed. In the absence of evidence to the contrary, the information recorded by JULBO shall constitute proof of all transactions. In any event, JULBO reserves the right to refuse any order or any delivery in the event of (i) an existing dispute with the Customer, (ii) total or partial non-payment of a previous order by the Customer, (iii) refusal of bank card payment authorisation by banking institutions. JULBO cannot then accept liability. Product offers appearing on the Website are only valid while stocks last. Availability may vary, even during the course of a single day, depending on the level of sales recorded by JULBO. JULBO updates the Website for availability as frequently as possible but cannot be held liable if stock is not identical to that shown on the Website. If Products prove to be out of stock once the order has been placed by the Customer, JULBO agrees to inform said Customer, by email, within eight (8) days of the order date and to let the Customer know when the Product is likely to be back in stock. If Customers wish, they can cancel the order (reimbursement by cheque or bank transfer within fourteen (14) days) or can exchange the out-of-stock Product for another Product by contacting JULBO by email or by telephone as shown in Article 8. JULBO cannot accept liability for failure to fill the order if the Product is out of stock or is unavailable and, in addition, the Customer may not seek compensation from JULBO if the Product ordered is unavailable. 5.1. Delivery means the transfer to the Customer of physical possession or control of the Products. Delivery can only be made once payment has been confirmed by JULBO’s bank. 5.2. 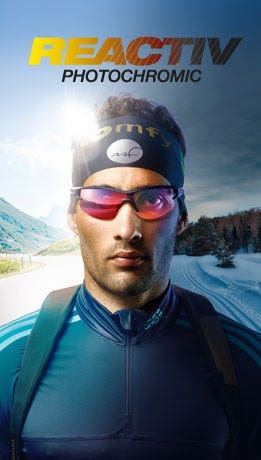 JULBO offers Product delivery in metropolitan France and within the European Union by Post and UPS, delivery charges and dates being included in the contract formed in accordance with Article 3. Customers should contact Julbo or its distributors direct for all deliveries outside metropolitan France and the European Union. 5.3. Unless otherwise agreed, the Products are delivered to the Customer at the location shown in the purchase order approved in accordance with the provisions of Article 3. JULBO cannot, in particular, be held liable if Customers subsequently change address without informing JULBO or if Customers give the wrong address details. 5.4. JULBO agrees to do its utmost to deliver the Products ordered within the deadline specified in the purchase order approved in accordance with Article 3. Apart from in the event of force majeure, if the Products ordered are not delivered on the date indicated, the sale may be cancelled at the Customer's written request if, after having asked JULBO to make the delivery within a reasonable additional period, the latter fails to make the delivery by this deadline. The amount paid by the Customer will then be repaid by bank transfer within (14) days, at the latest, without any compensation or deductions. Apart from special circumstances or if one or more Products is unavailable, the Products ordered will be delivered in one shipment. 5.5. The Products are sent out using standard postal services. JULBO cannot accept liability for late delivery in the event of excessive delays caused by the postal services. 5.6. If the original packaging is damaged, torn or open upon delivery, the Customer should check the condition of the Products. If the Products have been damaged, Customers should refuse to take delivery of the parcel and record their reservations on the delivery note (“parcel refused due to being open or damaged”). Customers must record any delivery-related anomalies (product missing from those listed on the delivery note, damaged parcel, broken products, etc.) on the delivery note in the form of handwritten reservations accompanied by a signature. This check shall be deemed to have been carried out once the delivery note has been signed by Customers, or by persons authorised by them. The Products are sold at the current price shown on the Website when the order is recorded by JULBO. Prices are shown in Euro, inclusive of VAT. They do not include transport and delivery costs which are charged at the rate applicable on the order date and of which the Customer is informed prior to placing the order. JULBO reserves the right to amend its rates at any time, given that the price shown in the purchase order compiled by JULBO is the definitive price and includes transport and delivery costs. Payment itself will not be deemed to have been made until the funds have actually been received by JULBO. An invoice is compiled by JULBO and sent to the Customer when the Products ordered are delivered. JULBO shall only be obliged to deliver the Products ordered by the Customer if said Customer has paid the full price in accordance with the terms and conditions listed below. The price is payable in full, on the date on which the order is placed by the Customer, by secure payment, by bank card (Carte Bleue, Visa or Mastercard) or by PayPal. Customers click on the payment method selected. Customers shall enter the cardholder’s name, the bank card number, depending on which type of card they are using, the expiry date as well as the security number (3-figure number shown on the back of the bank card). Customers are then automatically redirected to JULBO’S bank secure payment server. The bank’s server is secured via its electronic payment terminal so as to protect, as far as possible, all the data relating to the means of payment. Customers acknowledge that at no time will their bank details be carried on JULBO’s computer system. JULBO cannot, therefore, accept liability for fraudulent use of Customers’ bank details. Transactions are debited from the Customer's bank card as soon as the bank card details have been verified. Should the payment fail to be authorised, the Customer’s order will be cancelled. Customers who choose to pay by PayPal are automatically redirected to the Website’s PayPal page where they are obliged to enter the email address linked to their PayPal account and their PayPal password. PayPal’s terms of trade are then applicable. Once the PayPal payment has been approved, the Customer can conclude their order on the Website. 7.3. Any amount not paid on the due date shall automatically incur late payment interest at triple the legal interest rate. Such interest shall be payable until the date on which the amount payable is settled, inclusive of interest. Customers are entitled to withdraw from this contract without giving a reason within fourteen days of the date on which the Customers themselves, or a third party other than the carrier, physically take possession of the Products. To exercise the right of withdrawal, Customers shall notify JULBO, via the “Contact” section of the Website, of their decision to withdraw by means of a clearly worded statement. If Customers use this option, they will immediately be sent confirmation of their withdrawal on a durable medium (e.g. by post). Customers can use the model withdrawal form which can be downloaded here but this is not obligatory. In the event of withdrawal, JULBO shall reimburse Customers for all payments received from them, including initial delivery charges, without undue delay and, at the latest, within fourteen (14) days of the date on which JULBO is notified of Customers’ decision to withdraw. JULBO shall make the repayment using the same method of payment as that used by the Customer for the initial transaction, unless the Customer expressly agrees a different payment method. This reimbursement shall not result in any costs to the Customer. JULBO reserves the right to postpone the repayment until it has received the Products or until the Customer has provided proof that the the Products have been sent back, the date used being the earliest of the two. Rue Lacuzon, 39400 Longchaumois, France - without undue delay and, in any event, no more than fourteen (14) days after notifying JULBO of the decision to withdraw. This deadline shall be deemed to have been met if the Customer returns the Products within the fourteen (14) day deadline. Damaged, incomplete or partially used items will not be accepted for return. The Customer shall bear sole responsibility for the cost of the return. IN ANY EVENT, OWNERSHIP OF THE PRODUCTS ORDERED BY THE CUSTOMER WILL ONLY BE TRANSFERRED ONCE PAYMENT HAS BEEN RECEIVED IN FULL FROM SAID CUSTOMER. Customers shall ensure that Products can still be identified after delivery. JULBO wishes to remind Customers that dependent minors have no rights or obligations in contract. Customers must maintain the Products in accordance with the enclosed leaflet. Generally speaking, Customers guarantee that they are the holders of the bank card that they have used for payment. Consequently, the Customer generating the order for the Products guarantees JULBO against any damages arising from the unauthorised and/or fraudulent use of the bank card by a third party. - by a guarantee against hidden defects arising from material, design or manufacturing faults affecting the Products delivered and rendering them unfit for use, in accordance with Article 1641 et seq. of the French Civil Code. 11.2.1. Article L217-4 of the French Consumer Code: sellers are obliged to deliver goods conforming to the contract and are liable for non-conformity upon delivery. They are also liable for any non-conformity arising from packaging, assembly or installation instructions where Customers are contractually liable for assembly or installation or where they have been responsible for assembly or installation of the Products. 2° Or if they display characteristics defined by mutual agreement between the parties or are fit for any special purpose required by the buyer which has been brought to the attention of the seller and agreed by same. 11.3.1. Article 1641 of the French Civil Code: A seller is bound to guarantee the goods sold against hidden defects rendering them unfit for the use for which they were intended, or which so impair that use that the buyer would not have acquired them, or would only have given a lesser price for them, had the defects been known. 11.3.2. Paragraph 1 of Article 1648 of the French Civil Code: any legal proceedings for hidden defects shall be instituted by the buyer within two years of discovery of the defect. In the case provided for by Article 1642-1, in order to be admissible, proceedings shall be brought by the end of the year after the date on which the seller may be discharged from liability for apparent defects or non-conformities. 11.4.1. Any claims under the conformity or hidden defects guarantee shall be made to JULBO using the “Contact” section of the Website since JULBO acts as guarantor that Products conform to the contract. 11.4.2.1 Customers have two (2) years from delivery of the Product in which to make a claim. Customers can choose whether to have the Product repaired or replaced, provided that this choice does not result in costs that are manifestly disproportionate to the value of the Product or the size of the defect. The seller is then obliged to act in accordance with the Customer's wishes, unless this is impossible. 11.4.2.2 Customers are exempted from the obligation to provide proof of the existence of the non-compliance of the Product within twenty four (24) months of delivery of the Product. The legal guarantee of conformity applies irrespective of any commercial warranty that may have been given. If Customers decide to claim under the guarantee against hidden defects within the meaning of Article 1641 of the French Civil Code, they can choose either to cancel the sale or to pay a lower price in accordance with Article 1644 of the French Civil Code. 11.6. No liability can be accepted if the Products have not been used or stored in accordance with the instructions given on the label attached to the Products. 11.7. 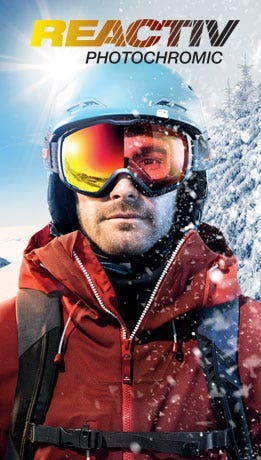 The photographs and illustrations accompanying the Products on the Website have no contractual value and so JULBO cannot accept liability for same. 11.8. JULBO shall not be considered liable nor to be in default if it can prove that the delay or non-performance is subsequent to the occurrence of force majeure or is attributable to the Customer. 12.1. Please note that the personal information that Customers are asked to provide is needed in order to process their order. This information is strictly confidential is is only intended for use by JULBO. Service e-boutique - Rue Lacuzon - 39400 Longchaumois France, or using the “Contact” section of the Website. Customers’ personal data may be used for the purposes of electronic marketing, by JULBO or by its partner companies, provided that the Customer’s express agreement has been given, in advance, by means of ticking the boxes on the Customer identification form. 12.2. Once the Customer's consent has been obtained, JULBO collects customer-related information by means of cookies that enable it to monitor the Customer’s Website browsing behaviour. Cookies are alphanumeric identifiers that are transferred onto Customers’ hard drives via their Internet browsers, enabling JULBO to recognise said browsers and so offer Customers more innovative and more attractive functions. Customers can also configure their computers so that they decline to accept cookies. To find out more about cookies, click on the optimum configuration tab. Website content is owned by JULBO as well as the intellectual property rights over the Products ordered and, in particular, the brand names attached to said Products which are protected by French and international intellectual property laws. Any full or partial reproduction of this content is strictly prohibited and is likely to constitute an infringement of copyright. If one or more clauses in these General Terms and Conditions of Sale are considered or declared to be invalid in application of a law, a regulation or following a decision or or as the result of a definitive decision by a competent jurisdiction, the other clauses will nonetheless retain their validity and reach. These terms and conditions of sale and the order summary sent to the Customer form a contractual whole and constitute the entire contractual relationship entered into by the Parties. 16.1. In the event of dispute, the parties shall seek an out-of-court solution. If the Customer has already attempted to resolve the matter by writing to JULBO, any consumer dispute that cannot be settled may be referred to the Ombudsman. To find out how to refer a dispute to the Ombudsman, Click here. Customers can also make any complaints via the European Commission online dispute resolution platform at this address: http://ec.europa.eu/consumers/odr/. The European Commission will transfer the Customer's complaint to the notified competent national ombudsmen. Should an agreement fail to be reached within 2 months of the other party being notified of the dispute, any disputes that may arise from these general terms and conditions of sale, whether concerning their validity, their interpretation, their performance, their cancellation, their consequences or their outcomes shall be brought before the competent courts under conditions of ordinary law. 16.2. All the clauses contained in these general terms and conditions of sale, as well as any sales transactions referred to therein, are governed by French law.